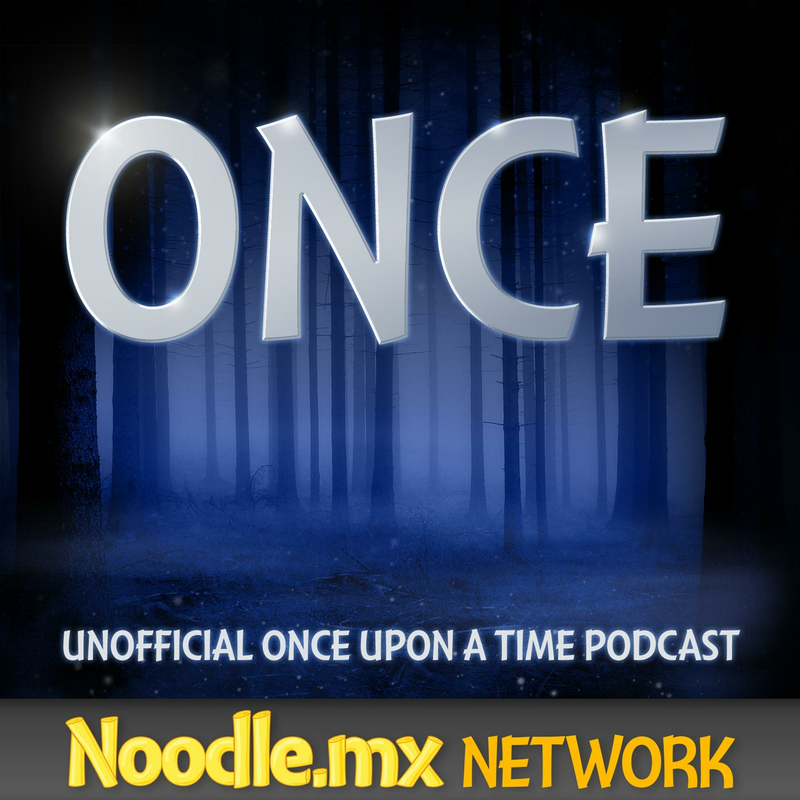 A little bad news: next week will be Once Upon a Time in Wonderland’s winter finale and won’t be back until March 6, 2014. This issue seems to have a lot of Daddy issues, not just with Alice, but with Jafar as well. Mostly everyone thought that the other man in the cage was Jafar’s father. To those who guessed it right, give yourself a pat on the back! Jafar’s mother, Ulima, was a healer. When she died, however, a cloud was between her and Jafar. Was this a transference of power? Jane Espenson didn’t really dismissed nor confirmed that it was her power but, when Olima passed away, did it somehow transferred to young Jafar? 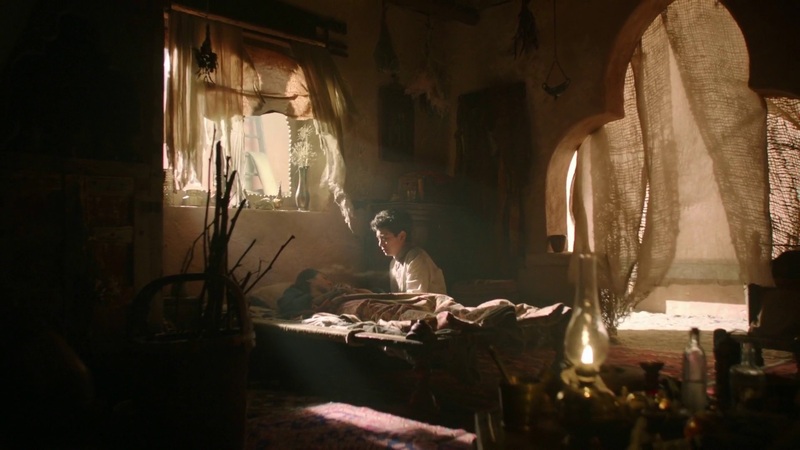 It looked like Jafar has been challenging his father even at such a young age, what with stealing despite knowing the risks it incorporates to get his real father’s expectations. Could he be expecting that his father will acknowledge him when he finds out that he is his son? Does Jafar wanted his father to fear him? Does Amara have some sort of a rift with the Sultan before? He doesn’t seem like a kind ruler, after all. Did the Sultan loved Jafar in some way? His expression softened a bit when he realized that Jafar is his son. 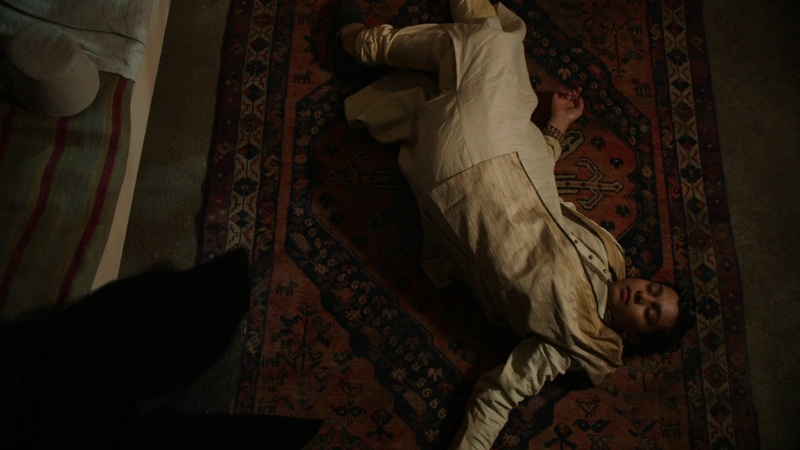 On the other hand, we’re a bit concerned that Sultan is a child-killer. Mirza, the Sultan’s other son and who is younger than Jafar, dressed flamboyantly but doesn’t seem too bright, especially when the Sultan was questioning him, showing him off. Jafar, on the other hand, is a clever, bright young boy who looked more appropriate to be the heir to the Sultan. The Sultan reminded us a bit of Regina, the Evil Queen from Once Upon a Time, when he said that he doesn’t have any regrets for not giving Jafar what he wants. 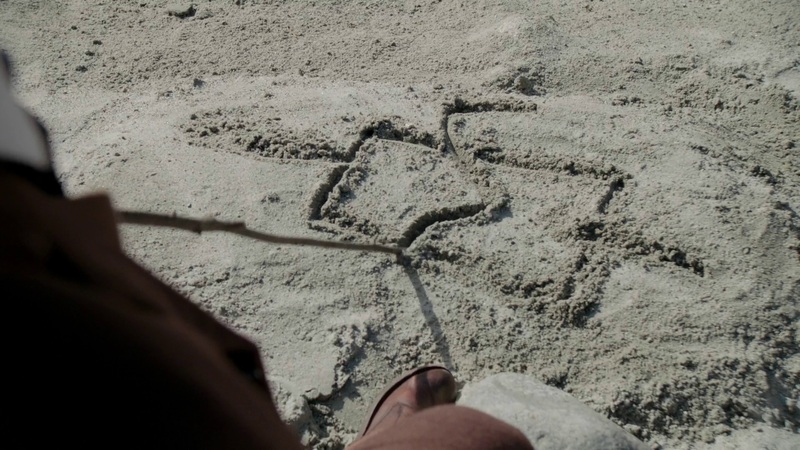 However, the Sultan did say that he regretted not holding young Jafar on to the water longer. I think the current Sultan could be Jasmine’s father. With no heir left and the Sultan taken from Agrabah, there has to be some ruler to replace them. I just can’t imagine that a sweet little guy can have his character turned so evil. Yes once changes characters, but not that extreme, and to totally count out Jasmine all together makes no sense. Maybe when Jafar returns to Agrabah when this is all over, the whole Aladdin story can begin. Is there still a possibility for the Sultan to become Jasmine’s father? We know now that it was really Edwin, Alice’s father, was the one who was taken in Wonderland. Moreover, it was interesting to see more than one floating island in Wonderland other than where Jafar’s tower is in. Because of her carelessness, Jafar now knows the Red Queen’s plans. Both Jafar and the Red Queen wants the laws of magic broken and based on what we know so far, what are the Red Queen’s intentions for magic? Does she want Will back? Is she aware that Will doesn’t have his heart back inside him? 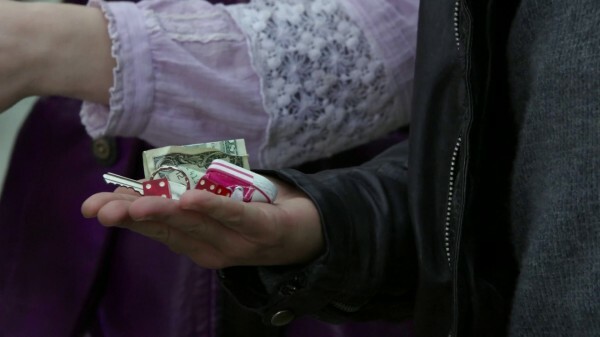 It was cool, by the way, to see Will’s trinkets — the key to Granny’s Diner, Ashley’s baby sneakers keychain, and the dollar that Will took from Granny’s. Before Jafar conjured the dragon, Jafar mentioned the looking glass. Is that how he got to Wonderland as well? Will also mentioned Anastasia, but does Jafar still not know their history or is he just acting like he knows nothing? The little cove where they build the basket and found the birdbark tree looks a bit like Neverland from Once Upon a Time. Are they the same? Despite Alice feeling disappointed against her father, she still wanted him to see him try and him giving it to his own accord. The potion that Jafar made that allowed him to posed as Edwin reminded us a lot of Harry Potter’s Polyjuice Potion. Jafar used his staff as if it stored his body’s shape. If Jafar can’t use Amara’s abilities without the staff, does that mean that he isn’t as powerful as he seems? We did learn a bit from Will about Alice’s personality; Alice doesn’t give up on people, not even if they deserve it. Unfortunately, Jafar knows this now. Thanks to Will. We’ve also found out that Edwin blamed Alice for all of his unhappiness. If a portal that was being opened leaves a hole just like what happened in Granny’s Diner, does that mean that Edwin’s home would have a hole in his living room as well? When Alice sent her father back home, Edwin thought that it was just a dream. Are bruises going to be visible in his body, making him realized that everything wasn’t a dream after all? On the other hand, it was admirable how brave and courageous Alice’s father had become before he fell. 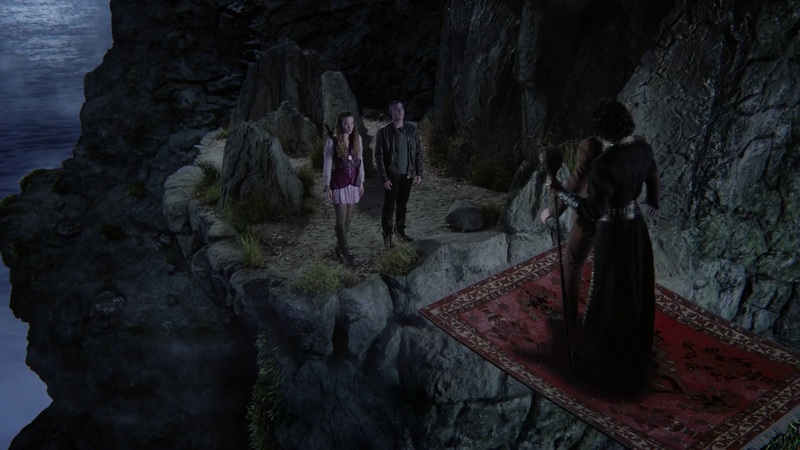 And thanks to Edwin, Alice now knows that Cyrus made it out of Jafar’s tower. With one wish left for Alice, and with five more episodes (of the 13 episodes for the first season) excluding the Winter Finale next week, what else lies ahead for Alice? Will Jafar get what he wants and force Alice to make her final wish? Will he get the bottle? Jafar told his father that someday, he will get what he wanted and acknowledge him as his son. If the Sultan would make a band with Jafar that he will call him his son but let Cyrus and Alice go free, will Jafar take the bait? I think the one thing the Knave could wish for that would be beneficial to the storyline is: he could wish for Anastasia to not be Queen anymore. I think he would either make that wish or not make any wishes just to show Alice that he doesn’t need any payment from her. Now that Alice only has one wish left, will she make it or is she going to honor her word and give Will the last wish to him? Moreover, what happened to the King, Anastasia’s husband? Are we still going to see what happened to him? 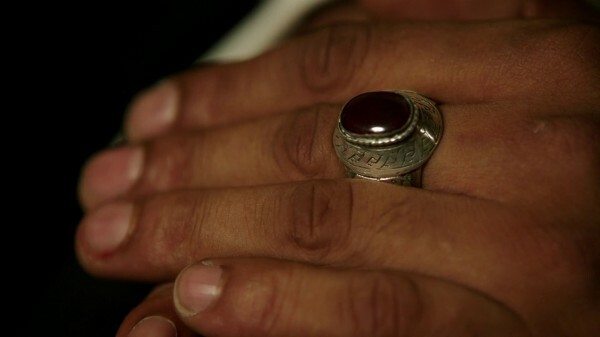 Jafar removed his ring before he disguised into Edwin. Is it magical? Is the ring what made him heal? Does his mother’s powers transferred into the ring? Jafar told the Red Queen: “Do not forget, even if you hold the genie and the bottle, you can’t live out your twisted dreams without someone changing the rules of magic. And I’M the one who will have that power.” Is he really the only one who can change the laws of magic? What about the Red Queen? The Red Queen intends to find Cyrus by nightfall. With what little scene we have seen of him, will she succeed? Let us know what you about last week’s episode using the comment section below or by joining us at the forum!